What we once thought was unlikely to happen became reality and, my friends, it was one HELL of a night! 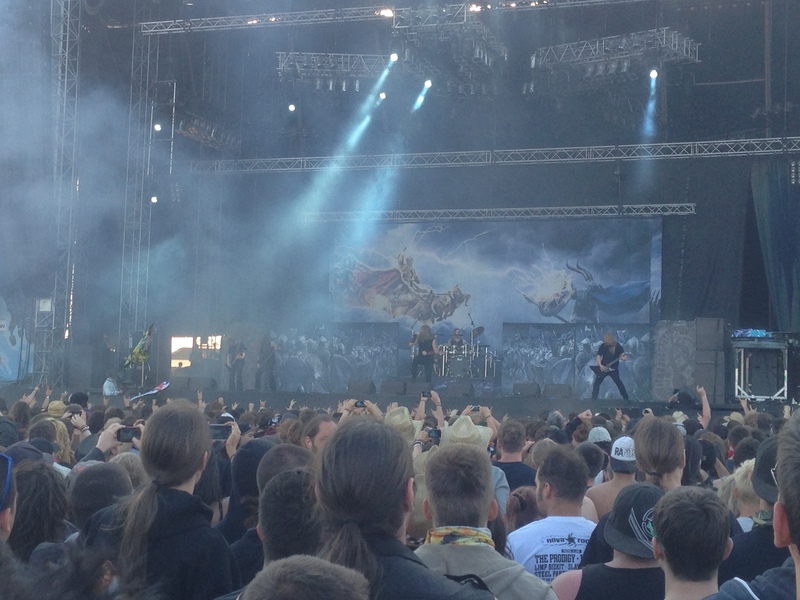 Have you ever imagined seeing Michael Kiske, Kai Hansen and Andi Deris together on the same stage? 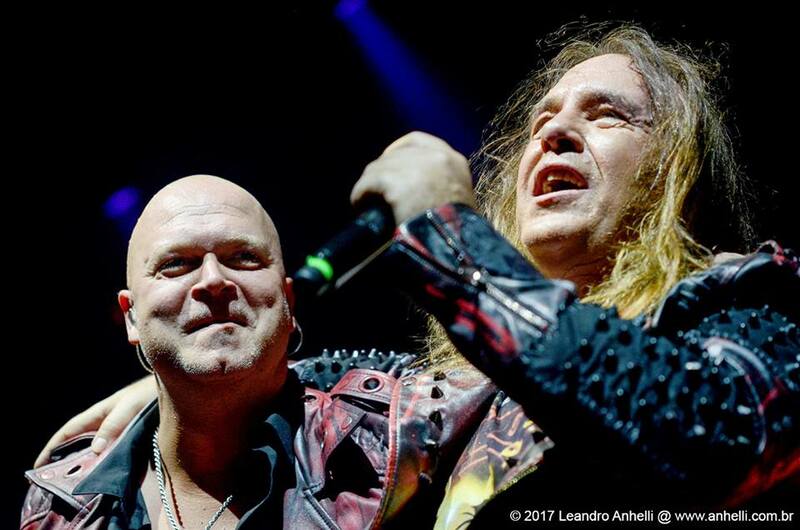 Yes, I know, we have seen Kiske and Hansen together with Unisonic before, we have seen Kiske singing HELLOWEEN classics beautifully, we have seen Hansen as a special guest on Helloween concerts, but the three pieces together feel so right that it is hard to think how it hasn’t happened before. The Pumpkins United World Tour is real now, it’s a huge celebration to the band’s legacy and I am not afraid to say that this is one of the most amazing tours of this year! This tour was announced a year ago and the first date confirmed was in São Paulo (although the tour actually started in Mexico). 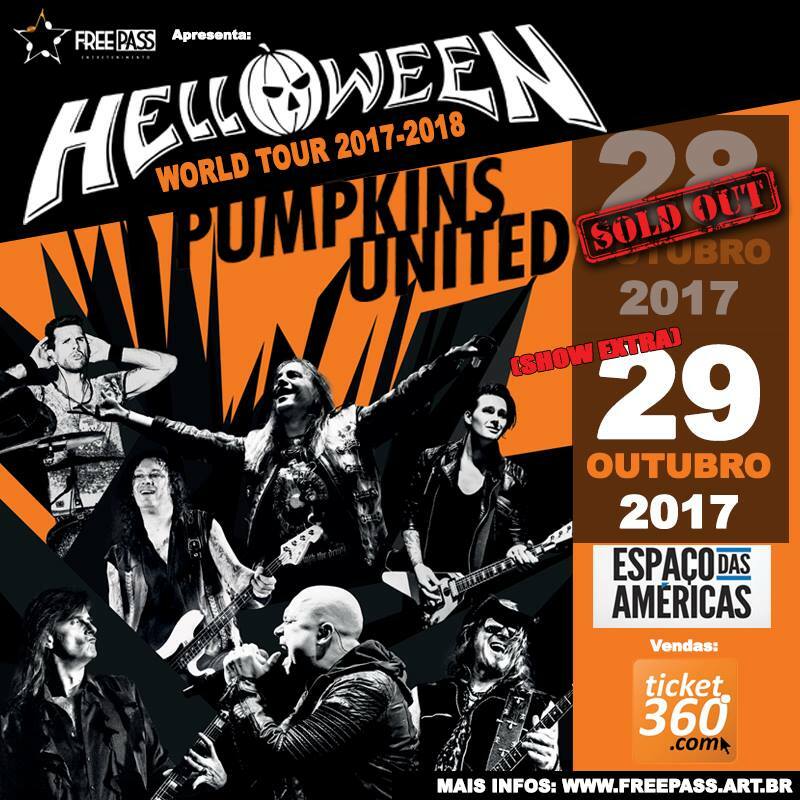 I have got to say Brazilians love Helloween, tickets were sold out in a blink of an eye and the band announced a second date – again sold out. We were also informed that these two concerts were going to be recorded to a near future release in DVD, so we couldn’t be more excited. Unfortunately, guitarist Roland Grapow wasn’t invited to join the band on this historical moment (according to himself), which is really a shame. Without an opening act, Helloween went straight to the point and got the party started at 7:30pm at the Espaço das Américas venue with the iconic Halloween, with Deris and Kiske singing together. This was enough to make 8,000 grown adults sing loud, smile, cry, jump, put their hands in the air, fall on their knees and thank for being there (I am not exaggerating, Brazilian fans are really this passionate and intense). After the song, both vocalists thanked all the fans and Deris remembered that 10 years ago they recorded a live album and DVD in São Paulo (Keeper of the Seven Keys – The Legacy World Tour 2005/2006) because Brazilian fans were the loudest in the world, so they wanted to do it again. The duo also introduced us to their two friends, Doc and Seth, the funny animated pumpkins on the screen who were responsible for “choosing” the night’s setlist, focusing on classics but also giving a space to songs released after the 2000s. It was incredible to see Kiske and Deris singing side by side but the night wasn’t only about them. Kai Hansen, Michael Weikath and Sascha Gerstner were playing heavier and louder than ever, and in perfect harmony. Weikath was in his usual “low profile mode” on his corner of the stage, but as technical and impressive as always, while Hansen and Gerstner were moving all the time along the stage and interacting with the fans in the front row. Markus Grosskopf smiled all the time and alongside Dani Löble didn’t miss one beat at all. The whole team was clearly happy and connected. When it was time for Hansen to take over the microphone on a medley of Starlight, Ride the Sky, Judas and Heavy Metal (Is the Law), the PA system died not once, but twice. 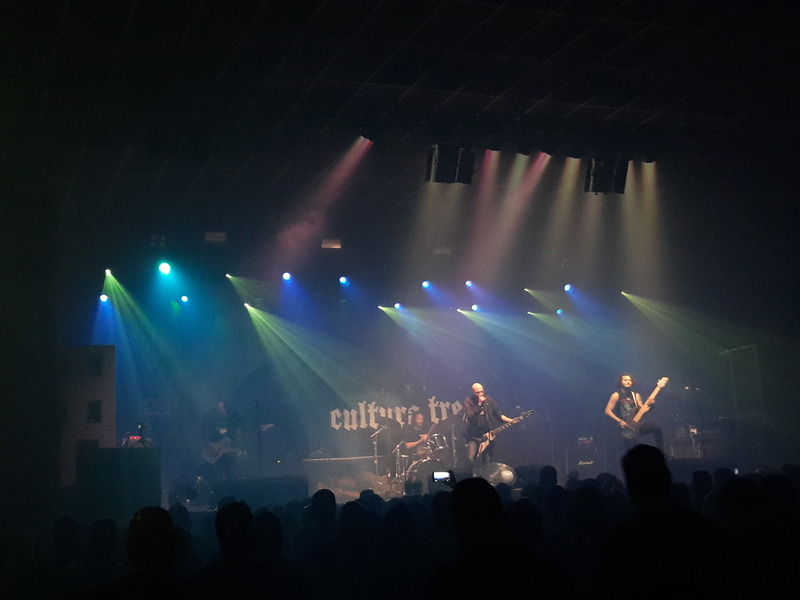 On the first time, the musicians took some minutes to notice as the crowd kept singing in support as if nothing wrong was happening, until a sound technician came in to the stage and asked them to stop. They left and after some minutes Hansen apologized and said they were going to start over. When the sound failed for the second time, they left the stage for a little longer, 20 minutes or so, which made us think of a worst case scenario like a cancellation or something. Luckily, the team managed to fix everything and the band could hit the stage for Kai’s moment to shine. Right after that, Deris and Kiske returned to the stage. Kiske joked that in all these years they have seen many things on the road, but never a PA that failed twice. Then, they gave the fans a moment to calm down a bit. Deris said it was a moment for a ballad, especially for the girls (he said the same thing before when they played If I Could Fly) and they made a beautiful duo singing Forever and One (Neverland); however, Kiske mentioned guys also love ballads, and all the fans shouted a loud “YEAAAH” in response. There is no such thing as an ordinary concert for Helloween and they even know how to make a drum solo an emotional moment. Lights out on stage, Dani started with some beats and then images of a happy and precise Ingo Schwichtenberg – the original drummer, dead in 1995 at the age of 29 – were projected on the screen. Dani started to follow Ingo’s beats as if they both were on a very technical drums battle. It ended up with Ingo “playing alone” and many of us crying, clapping and shouting his name in a very loving tribute. It’s worth to mention that on the previous night the screen didn’t work for some time and unfortunately the fans couldn’t see such beautiful moment. Power, How Many Tears, Eagle Fly Free, Keeper of the Seven Keys, Future World and I Want Out made a killer final sequence, with KOT7K being the highlight of the show undoubtedly. After 3 amazing hours the show was over, but we had energy left for more. Some great songs were left out of the setlist, including the recently released single Pumpkins United, but well, that’s okay. And despite the technical difficulties, I did not see one single person complaining; quite the contrary, everybody went back home with a big smile on their faces, and that feeling of being part of something really awesome and unique. 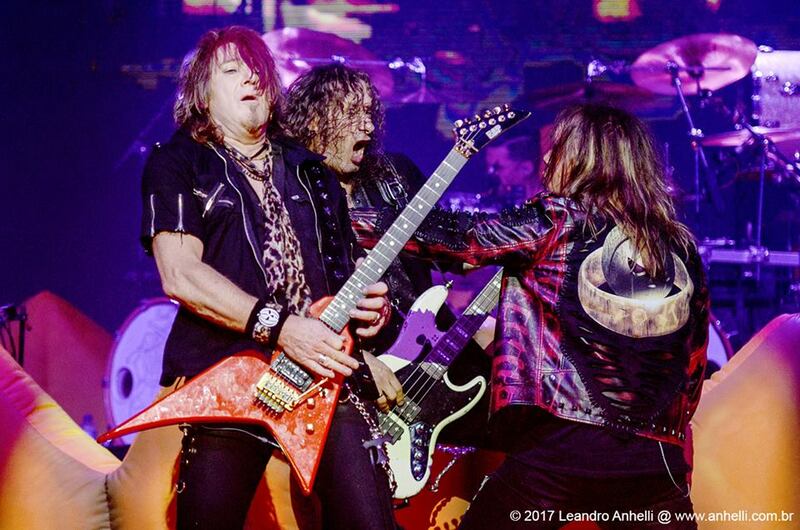 To finish this review, if I can leave a piece of advice for you all, my metalhead friends, I’d say: please go see this concert if Helloween come to your town/country on this very special tour! You will remember this amazing night forever with a smile on your face and possibly tears of joy in your eyes. Tarja’s fans never disappoint when she plays in Brazil and, this time, they said goodbye to the “Colours in the Road” tour in a night full of love, gratitude and amazing songs. Saturday night, October 24, was an example on how multicultural a big city like São Paulo can be. That night, the city hosted several concerts, on small, medium and big venues, of small and big bands and there was no reason to one stay at home. 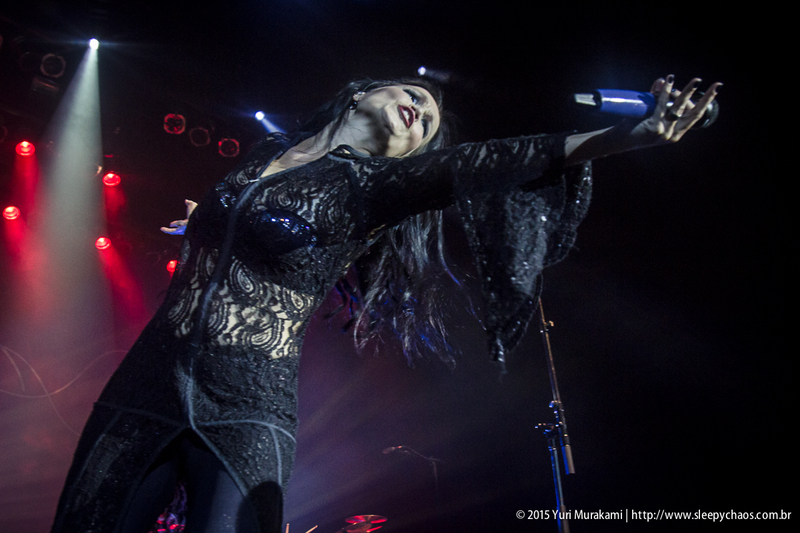 One of the shows that night was of the Finnish singer Tarja Turunen, at Tom Brasil. She came back to the country a year after her last show here and, this time, with nothing less than seven dates in Brazil to end the Colours in the Road tour, that also had dates in Mexico and El Salvador and ends with concerts in Chile, Uruguay and Argentina in November. The Brazilian band MAD OLD LADY were the opening act of the night. Formed by Eduardo Parras (vocals), Guga Bento (drums), Rafael Agostino (keyboards), Timo Kaarkoski and Tiago de Moura (guitars) and Fernando Giovanetti (bass), they were one of the bands that recently played at Motörhead’s MotörBoat (the only Brazilian act in this edition) and, back to Brazil, they were responsible for entertaining the audience that was waiting for the Finnish soprano. Mad Old Lady are a well-known band by Tarja’s fans for they also were the opening act of her previous concert in town, in 2014. 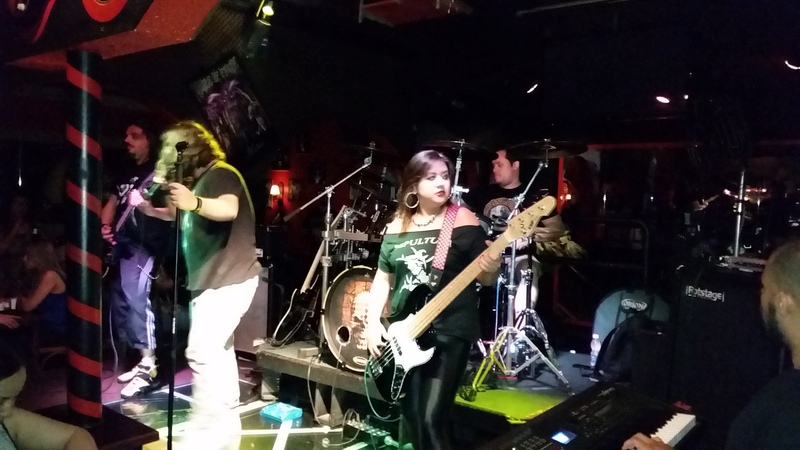 The fans enjoyed an honest concert and saw on stage competent musicians playing songs of their album Power of the Warrior, and even a cover for Metallica’s Enter Sandman, sang by the bassist Fernando, the highlight of their show for many. All the expectations of the night, of course, were kept for TARJA TURUNEN. October marked the tenth year since Tarja left Nightwish and the fans, always loving and supportive, were excited to see her once again on stage. The enthusiasm of the crowd was in high levels with the entrance of the musicians that form Tarja’s band in this tour: Guillermo De Medio (keyboards), Nicolas Polo (drums), Pit Barrett (bass), Alex Scholp and Julian Barrett (guitars). To the sound of the first tunes of The Phantom of the Opera, composed by Baron Lloyd-Webber, Tarja was the last one to come onstage and drove her fans to pure happiness while singing the famous song of the musical. Smiling and talkative all the time, Tarja showed that she deserves the title of one of the greatest divas of heavy metal: between the songs, she always took a moment to thank the love and support of the fans, in English, Spanish and even in Portuguese, received many presents, like stuffed bears, dolls and love letters, and said that she considers Brazil as her fourth home. The setlist of the night was very generous and mixed songs from her three solo albums, some covers and even a new and yet unreleased song, No Bitter End, that Tarja said it will be in her upcoming album, to be released in 2016. The fans made a beautiful side show following the singer all the time clapping, screaming and singing along with her. Among the covers, Tarja also revealed being an huge fan of James Bond’s movies and sang Goldfinger, theme song of the movie released in 1964. The Finnish diva also sang Slaying the Dreamer, a Nightwish song that she hasn’t sung since her departure of the band, and the night ended up with Gary Moore’s classic Over the Hills and Far Away, also famous as a cover released by her former band. There was still room in the night for a special birthday celebration to drummer Nicolas Polo, with everybody singing for him and Tarja bringing him a cake in shape of a snare drum. 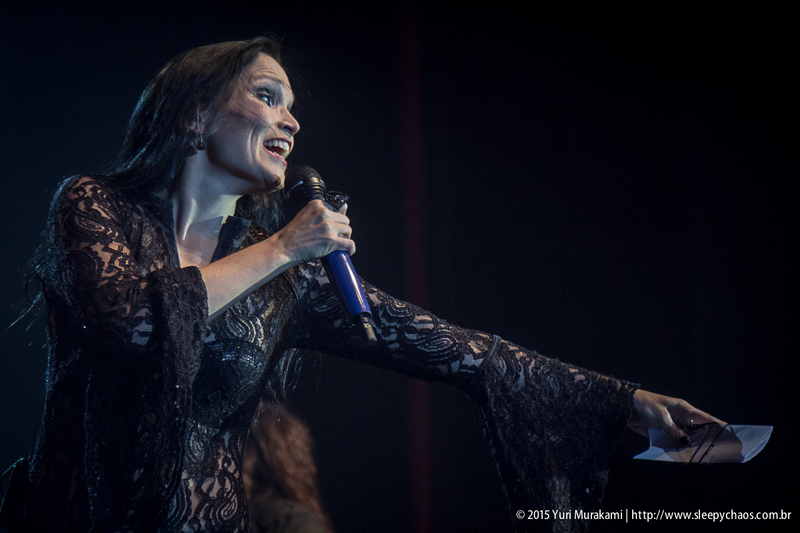 During this moment of the party, Tarja once again showed her gratitude to her loyal fans and said it was a pleasure and an honour to come to Brazil at the beginning and also at the end of this tour. When the show was almost over, during Until My Last Breath, one of the most known songs of her solo career, she came down the stage to salute all the fans that were on the front row. Undoubtedly that was a memorable and very special night. 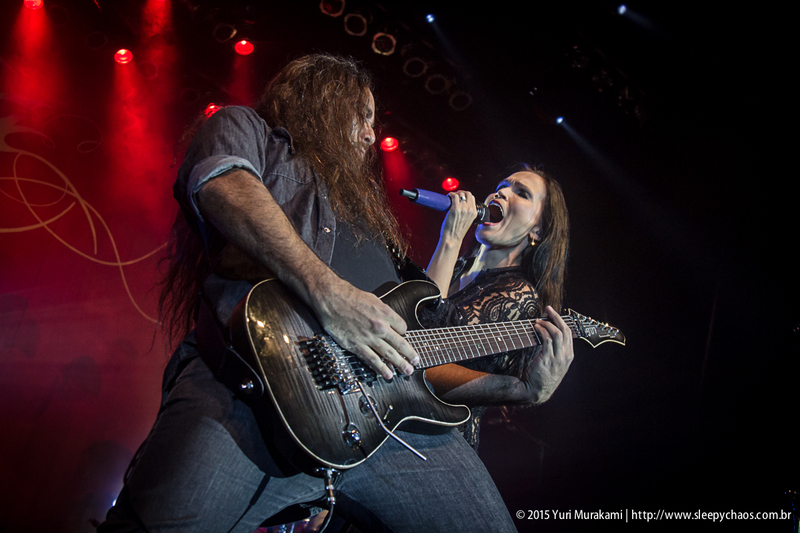 Tarja is a talented singer like no other, she has a very strong presence and a charisma that few vocalists in heavy metal show in and out of the stage, as well as a legion of really dedicated and passionate fans. If it was an honour for her to play twice in Brazil with this tour, can you imagine how special it was to her fans? Certainly we all are already waiting for the return of this beautiful Finnish diva with the release of the new album, next year. 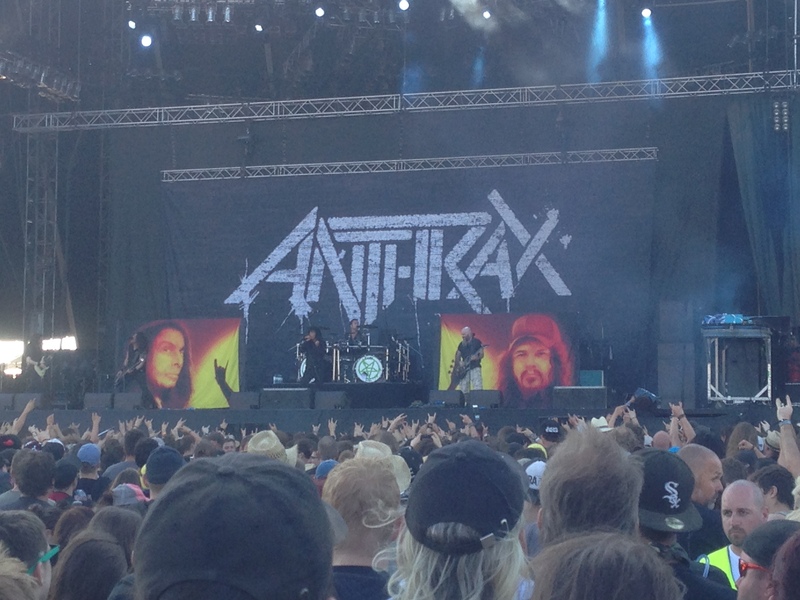 When pop music goes metal, everything gets a lot better. 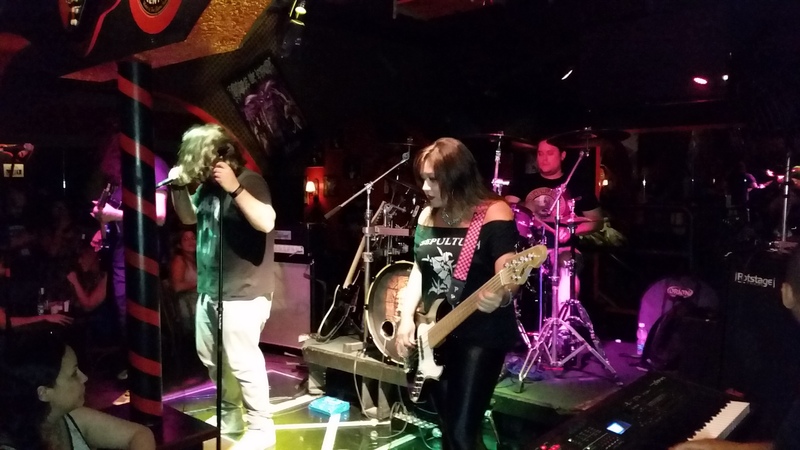 If you’re planning on visiting São Paulo, Brazil anytime soon and need some advice on what to do and where to go to spend your nights in the city, especially if you’re a Rock N’ Roll person, an awesome option is a pub called Willi Willie Bar e Arqueria, the first Rock Bar with an archery in Brazil. Located in a very nice neighborhood full of good hotels and restaurants, and close to one of the biggest shopping malls in Brazil, this neat and cozy two-floor pub has been providing their guests the best of rock and heavy music since 1978 with live performances from all types of bands, from purely cover/tribute bands to new indie groups with 100% fresh and original material. You can take a look at their monthly schedule by clicking HERE and decide which day is the most suitable for your music taste. However, it’s not only the music that stands out at Willi Willie: the quality of the service, the excellent food, their variety of drinks and beers (including the already renowned Trooper Beer), the decoration full of pictures and posters of several Rock N’ Roll and Heavy Metal icons, and of course their archery will make you feel so welcome you’ll be back there every single night if possible. The pub also offers stand-up comedy nights on Sundays in case you’re up to this kind of entertainment. They’re closed only on Mondays and Tuesdays, but that’s not an issue as you can use those days to recover for more Willi Willie on the following nights. 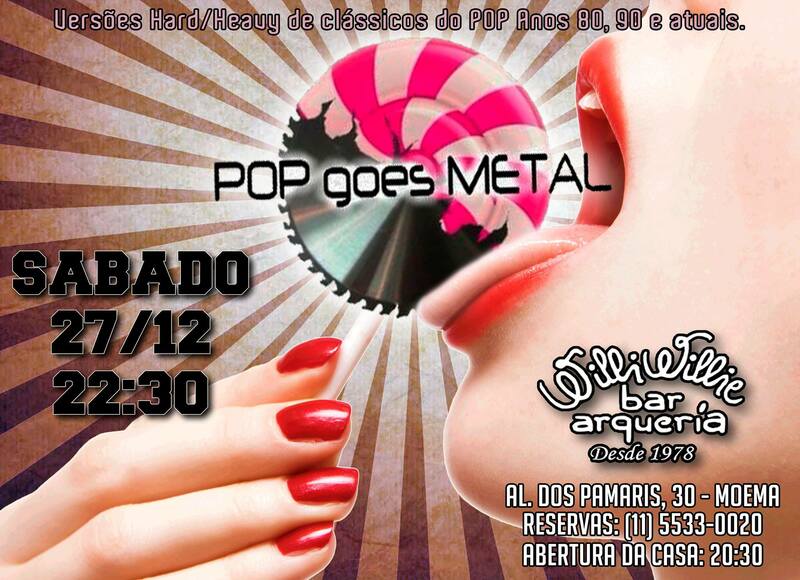 Founded in January 2013 in São Paulo, Brazil, Pop Goes Metal play hard and heavy versions of lots of 80’s and 90’s pop music classics at least once a month at Willi Willie. Do you want to know how Michael Jackson’s all-time classic Smooth Criminal would sound with an extra touch of heaviness? 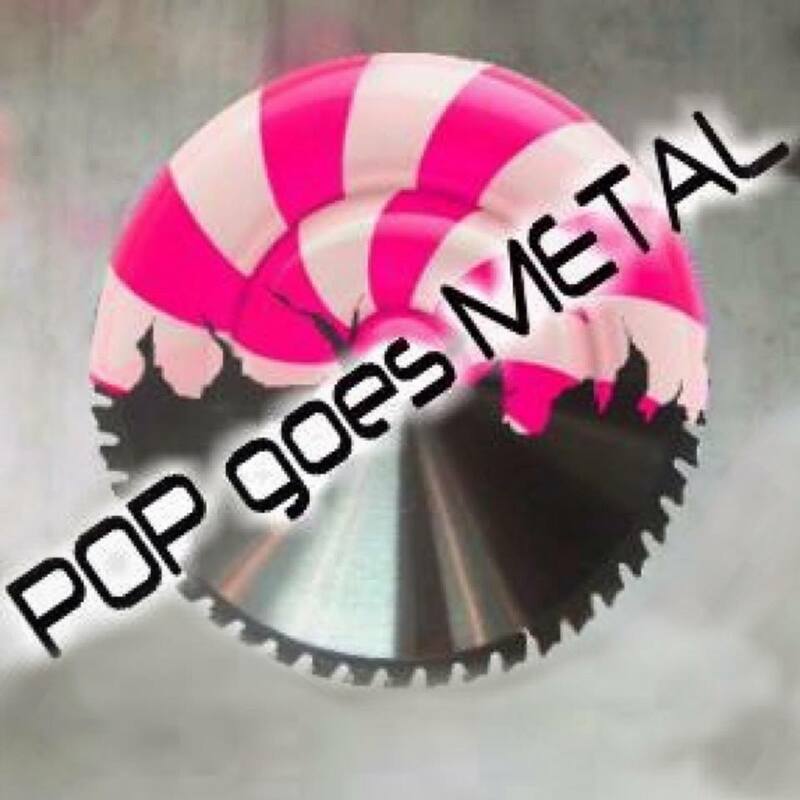 Pop Goes Metal will give you that. 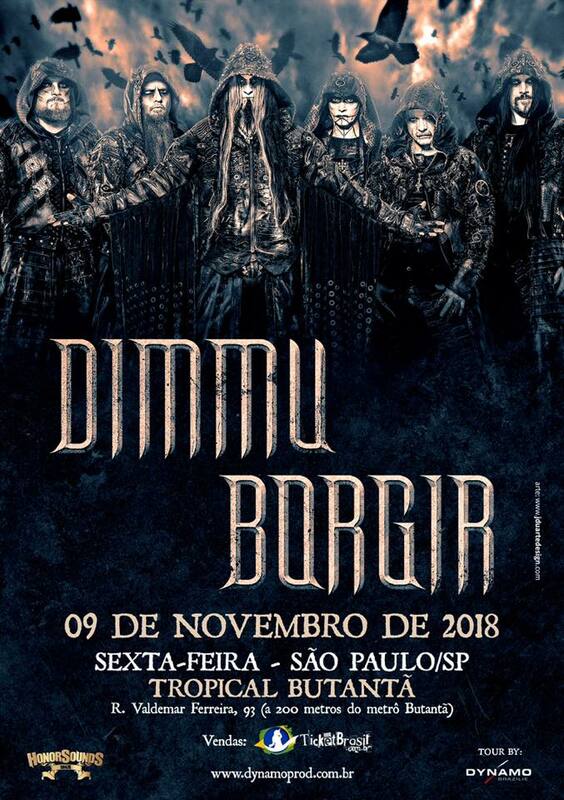 The band was formed by the famous Brazilian guitarist Silas Fernandes, who during his career has already played with Andreas Kisser (Sepultura) and more recently with Brazilian Alternative/Industrial Metal band S.T.A.B., which unfortunately doesn’t exist anymore. Also, if you’re a guitar player do not miss the chance to check out his official YouTube page, there are lots of interesting videos from his series named Rig On Fire. The other members of the band are as professional and competent as Silas, making the whole experience even better: Pedro Henrique Cordeiro is the voice of the band, Carol Monteiro is the “chick that rawk” on the bass guitar, MV Silva is the man behind the keyboards, and Marcelo Camarero keeps pounding his drums like a maniac during their entire performance. By the way, Maniac by Michael Sembello (that famous song from the 1983 cult movie Flashdance) is also part of their setlist. From all the songs played by the band, I would say my favorites are Footlose, Smooth Criminal, Rebel Yell, Maneater and Don’t You (Forget About Me), all boosted by some heavy riffs by Silas and crazy beats by Marcelo. And if you’re lucky and they have some extra time, you can even enjoy PGM playing some other classics like Rock N’ Roll by Led Zeppelin. Unfortunately, Silas is leaving the band pretty soon due to personal reasons (he’s moving with his family to the United States), which means you have just one last chance to see him with the band this Friday, January 16, 2015, at Willi Willie. But don’t worry, after that the band will have a new guitar player and will keep playing pop classics louder and heavier than anyone else. 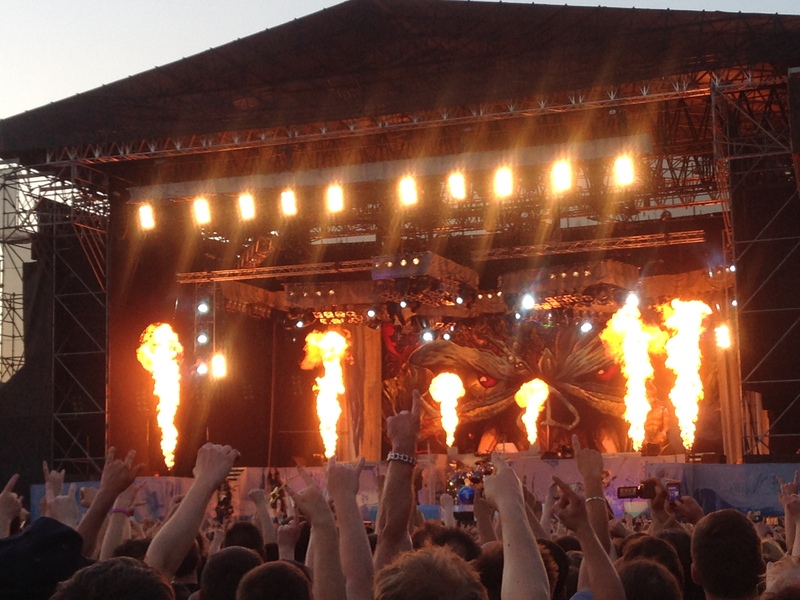 Finally back from my awesome trip around Eastern Europe, there couldn’t be a better way to “reignite” the moose than with a review of another flawless performance from Heavy Metal behemoths IRON MAIDEN! But before I talk about the concert itself, let me do a quick intro about the city of Brno, where Maiden played for the first time ever in their brilliant career. With a population of almost 400,000 people, Brno is the capital of the South Moravian Region and the second largest city of the Czech Republic (Prague is the first one with 1.3 million people). This beautiful city is located about 200km from both Prague and Vienna (Austria), so it doesn’t really matter where you fly to if you don’t live in Europe and want to visit there. And believe me, it’s definitely worth a visit: the people from Brno are very friendly and beautiful, their food is amazing, their beer is not only delicious but also very cheap, and of course, there’s a lot to do in the city such as visiting the imponent Špilberk Castle (you can have a pint of Brno’s awesome Poutník light draft beer for less than two Canadian Dollars at the pub on the top of the castle), seeing the mummies at the Capuchin Crypt and Church, or visiting the Brno Ossuary. Or maybe if you’re planning to have a very romantic dinner in the city, my suggestion is the excellent La Bouchée Restaurant. You can find some good info about the city and its hotels, attractions and events at the website Brno.me. We flew from Toronto directly to Vienna from the evening of June 7 to the morning of June 8, picked up a car at the airport, enjoyed the 2-hour drive to Brno, checked in at our hotel located only 500m from the venue (the open-air Brno Velodrom, which seemed really old and not very well-maintained from the inside), slept for about 2 hours to recover our energies, and then simply walked to the Velodrom. 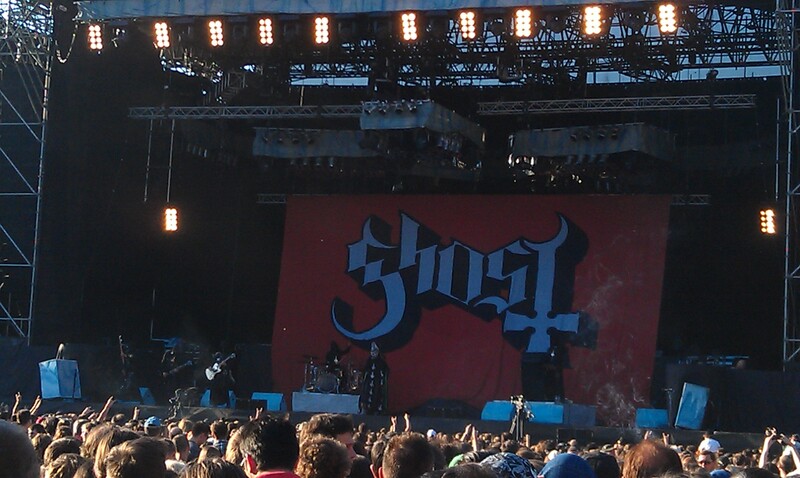 When we got there, Swedish Hard Rock band Ghost was already onstage, but we couldn’t care less as we’re not fans of the band nor will ever be. We really don’t get why so many people love this overrated band. 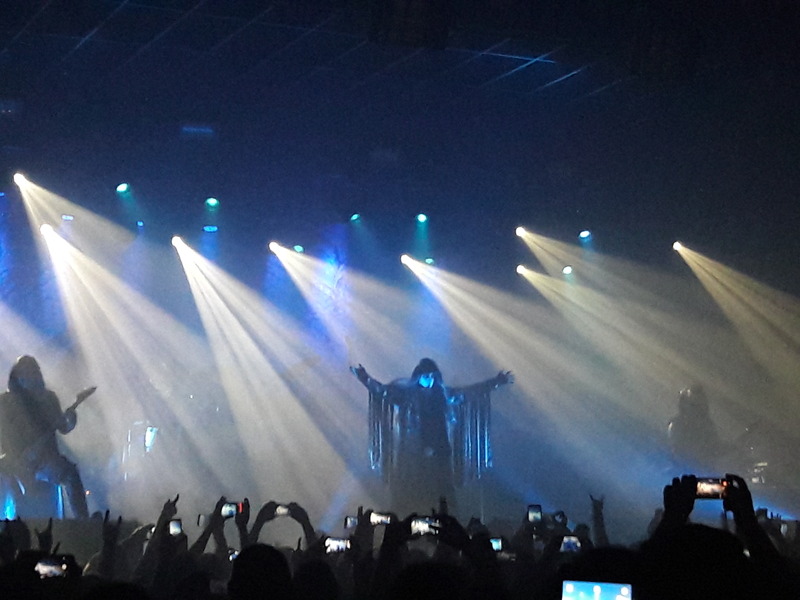 Well, Ghost did exactly what we expected: despite their good instrumental, interesting lyrics and all their theatrical performance, the vocals are extremely bad and the songs sound way too boring for big venues or festivals. I wasn’t able to distinguish any of the songs from one another, so for me it sounded like a single 40-minute boring song being played all the time. Anyway, even the most diehard fans of Iron Maiden respected the band and not even a single boo was heard, which was good for the band members, but that left me wondering how cool it would have been with Anthrax instead of Ghost opening for Maiden, as it happened in previous concerts this year. It was around 9pm when, after the traditional intro with UFO’s Doctor Doctor and the video showing scenes of ice meltdown with the epic orchestral song Rising Mercury in the background, Steve, Bruce & Co. hit the stage with the classic Moonchild (by the way, the sound quality was excellent). I don’t need to say how great that was, right? 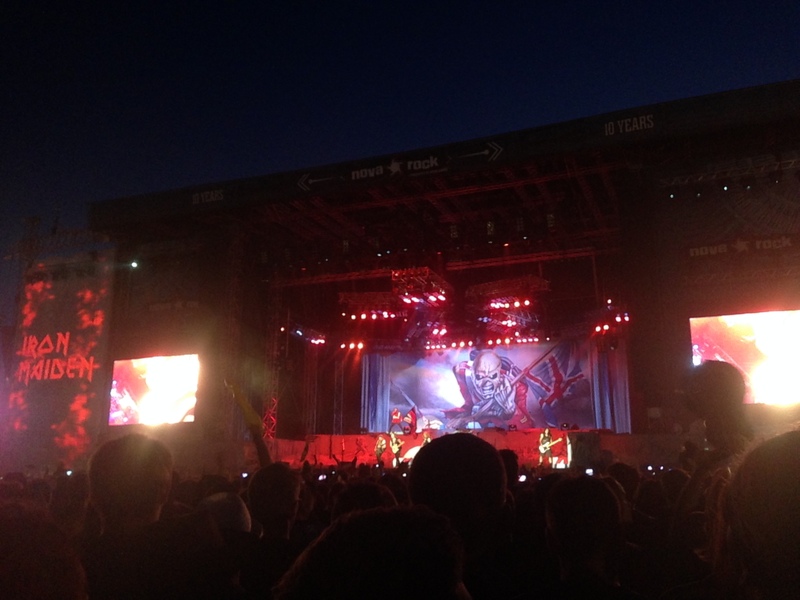 And it doesn’t matter if it’s a huge festival like Rock Am Ring or a small city like Brno: Iron Maiden are ALWAYS on fire and ALWAYS deliver the most electrifying show one can ever imagine! “What a lovely evening!”, Bruce said in regards to the sunny and hot weather in Brno, with the temperatures above +35°C making it even hard to breathe sometimes. Nothing that cannot be solved with some cold beer, though. Besides that, it was clear to me that the vast majority of the fans there were not from Brno, but from other parts of Czech Republic and major European cities like Prague, Vienna and Bratislava (as well as other distant parts of Europe like England and Finland), which means only true Maidenmaniacs attended the concert, enhancing the connection between band and fans even more. 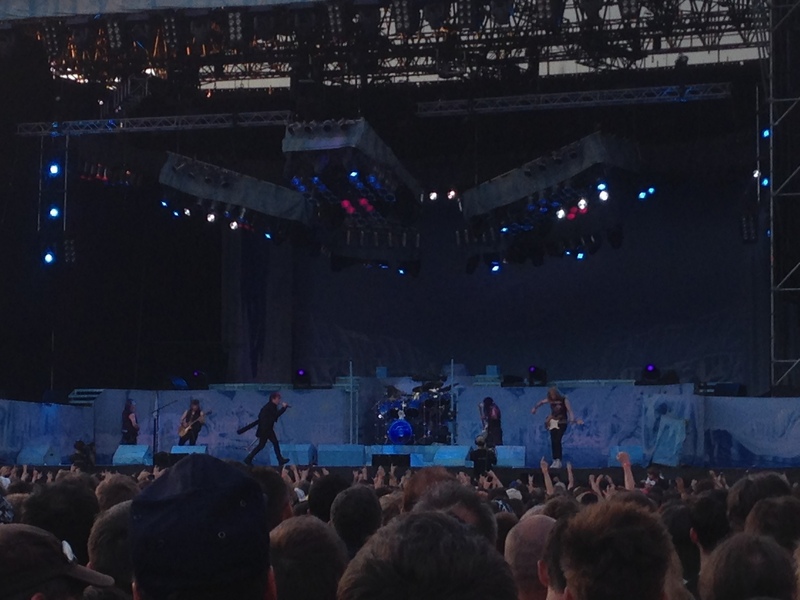 Moreover, as it already happened in 2012 and 2013, each and every all-time classic like Can I Play With Madness, The Trooper, Wasted Years and Run to the Hills didn’t let the energy down not even for a single second throughout the entire concert. Not even the limited English from most fans in the venue curbed their enthusiasm and their will to sing along all songs with the band. And what was that crazy dude on the fence with the British flag? He was 100% drunk, his T-shirt was all torn because of the fence (and I believe he was also bleeding because of that), but he was so happy seeing Maiden live that none of that could stop him from enjoying every song played. That was awesome. 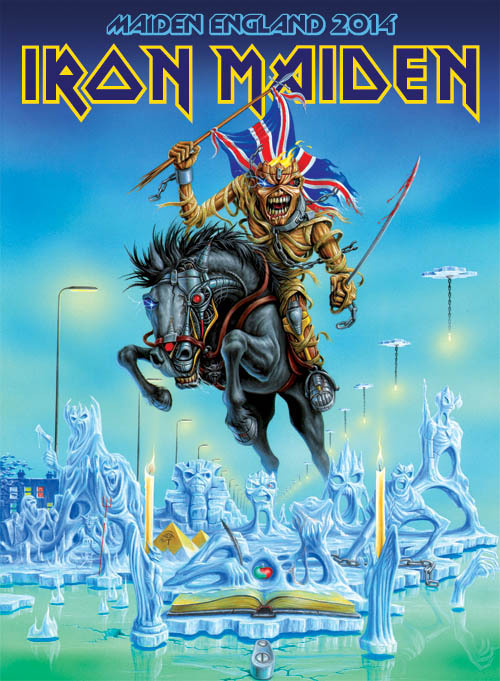 In addition, the highlights of this concert (and of the whole Maiden England Tour 2014) were once again the thrilling masterpieces The Prisoner and Aces High, the undeniable perfection of the epic Seventh Son of a Seventh Son, and of course the three changes the band made to the setlist this year. This was my fifth “Maiden England” concert (after three in Canada in 2012 and one in Germany in 2013), and by far the best in terms of setlist: replacing Afraid to Shoot Strangers, The Clairvoyant and Running Free by Revelations, Wrathchild and Sanctuary was an awesome move that added more power to their performance, especially the wonderful Revelations, one of my favorite Maiden songs of all time. Bruce had such an outstanding performance on this song, one of the best I’ve ever seen, that it was impossible not to get emotional with its perfect lyrics. Can someone please ask the band to NEVER remove it from the setlist again? Talking about Bruce, he was singing A LOT better than a few days before at Rock Am Ring. For instance, during the encore it sounded like the concert was just starting, and we’re talking about very difficult songs to sing like Aces High and The Evil That Men Do. Maybe he had more time to rest until the concert at Brno, or maybe he feels more excited when it’s a smaller venue and not a huge festival? The same can be said about the other band members, especially Dave Murray and Nicko McBrain, who were both in top form even after so many years on the road. They simply love what they do, and that’s why we love them so much. Just Google it and you’ll see what I’m talking about, there are many good videos shot at the concert in Brno that you can compare with their performance at Rock Am Ring. In summary, as the band itself always says, “Iron Maiden’s gonna get ya, no matter how far”, even if it’s as far as Brno, in the amazing Czech Republic. 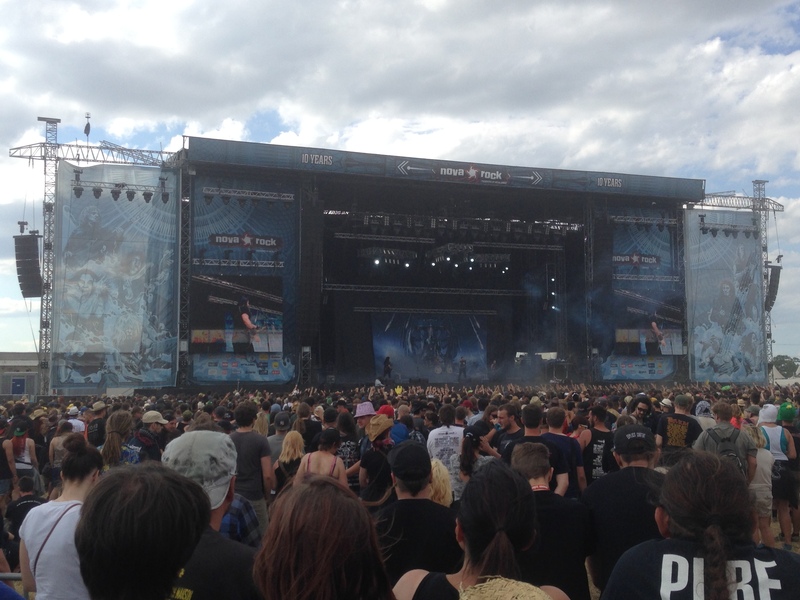 No one knows if Maiden will return to the city in the future for more concerts, but based on this first one and on all the beauty, peace and the enthusiastic people there, Brno truly deserves to be constantly visited by our beloved Heavy Metal giants. And if they do so in the following years, I hope I can take some days off again to witness Bruce shouting out loud “SCREAM FOR ME, BRNO!” under the beautiful and clear Czech sky during one more of their superb summer tours.